Each of these thoughts are challenging and thought-provoking. 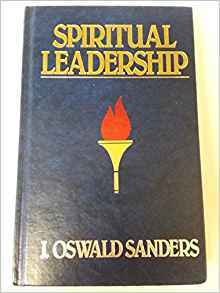 Yet, there is one thought that may be more convicting than all the rest: “the spiritual leader should outpace the rest of the church, above all, in prayer.” Wow! Whether we are a leader OF the church or a leader IN the church, a fervent prayer life is the key to success. It applies to our leadership roles WITHIN the church and OUTSIDE the church. It is the benchmark of faithfulness and the gold standard of preparedness. It is the pathway by which a Christian receives wisdom, power, and motivation. It eclipses all other elements of our development because it connects us to God Himself. Jesus prioritized prayer! The disciples prioritized prayer! So must we! PLEASE PRIORITIZE PRAYER AS THE KEY TO AN IMPACTFUL LIFE. To be successful and effective, it is something we must do above all.